Great for schooling or shows! 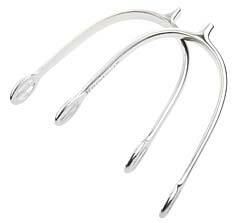 The Shires Equestrian Tom Thumb Spur is great for schooling or showing your horse. Made from stainless steel, this fine spur gives your horse the little encouragement it needs.